How do I participate in a Legacy auction? You’ve looked over the auction materials and conducted your own site visit and inspection for an upcoming Legacy auction. You’ve considered your budget and arranged for your financing, and you’re ready to buy. Now what? We’ve got some great news for you - participating in a Legacy Land Auctions event is easy! When you’re ready to register, there are some basic steps to follow. 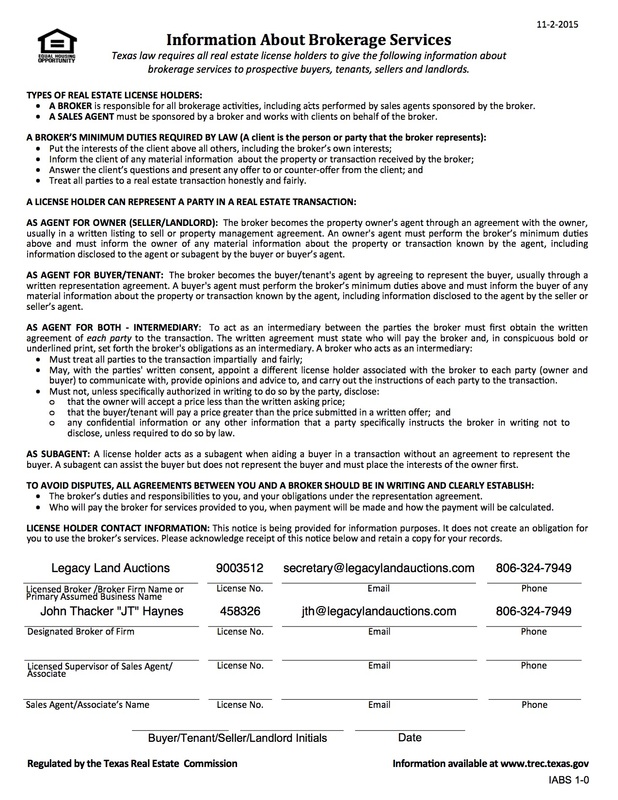 Simply fill out the Bidder & Broker Participation Agreement available online at www.LegacyLandAuctions.com or from our office, clearly identifying the name and contact information for any licensed real estate agent or broker with whom you’re working (if any). Return this form to our office no later than 5:00 p.m. the day prior to the auction to qualify your broker or agent to earn a commission if you’re the successful buyer. If you’re not working with a licensed real estate agent, you can even sign up on-site on sale day. At any auction, we typically have some bidders who work with licensed real estate brokers or agents to help them through the process, and there are often bidders who don’t. Either way, Legacy staff and professional ringmen are available and happy to help on sale day to ensure all bidders understand the process as it unfolds. When you arrive at the auction, you will be provided a packet of materials including auction updates, full auction terms and conditions, Information About Brokerage Services, as well as other disclosures required by the Texas Real Estate Commission and the Texas Department of Licensing and Registration. You will be asked to sign an acknowledgement that you have received these items and issued a bidder number you will use throughout the process. Before the auction kicks off, the Legacy team will go over any relevant auction updates, talk a bit about the process, and then answer any questions in the room. For more information on the multi-parcel process, click here. And when our auctioneer takes the microphone, the auction is on! If you have any questions about participating, please contact us at 806- 324-7949.